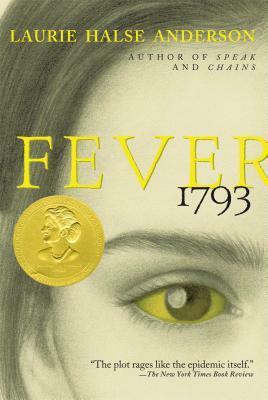 Fever 1793 was a hair-raising, suspenseful, and intriguing historical fiction. Laurie Halse Anderson really knew what she was doing while writing this book. As the saying goes, “truth is stranger than fiction.” Mattie Cook goes through things she never before could have dreamed of, losing loved ones and surviving yellow fever. She evacuated her town in Philadelphia with her grandfather, leaving her sick mother to be treated and her cook to take care of everything at home. This journey taught Mattie so many things, and us alongside her.